He just played Fortnite and lost to a default. What happens when they touch you? Loki looked like he was turning into a Frost Giant. What happens if you drill around it? He looks like someone possessed. They keep running over him! Thought that was a weapon. Why did he put down the sniper? How do they repair the Bifrost? How does he see everything? Skip to the extra scene. He made him say that. He wasn’t as talkative for Thor. Not sure if it’s because he had food in front of him or because he was totally engrossed. Either way, he still didn’t disappoint with his commentary. 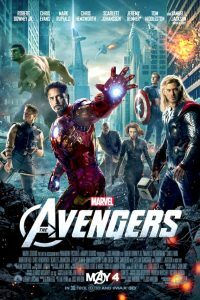 Share the post "Marvel Movie Marathon – possible spoilers part 4"